Will you give a child dignity for £5 and protect their every step throughout 2017? For children in countries like Ethiopia, Nepal and Colombia, a journey of several miles on foot is not an excursion, but a daily necessity. But protecting their feet is an afterthought, and sometimes, an impossibility. In these parts of the world, shoes are a privilege. An adequate pair marks the difference between a child who will engage in the joys offered by their childhood and one who will be hindered and denied by disease and disability. 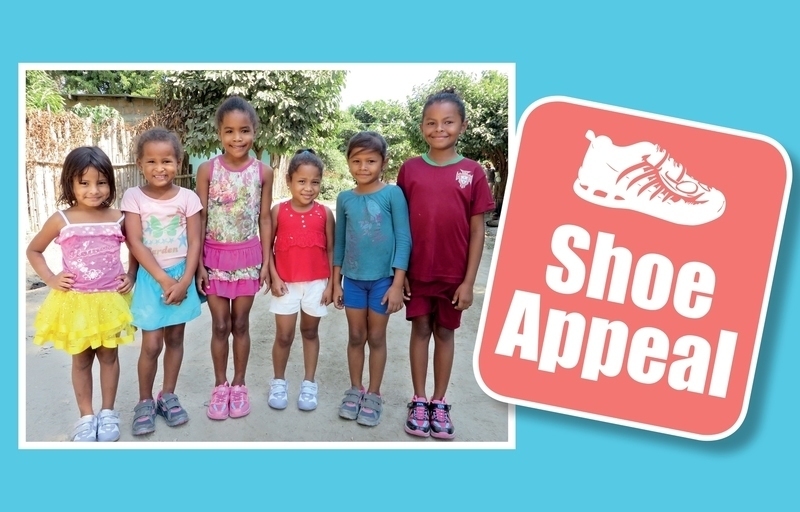 Will you help us give each of our children a quality pair of shoes? For just £5 you can protect a child’s health, restore their dignity and give them the chance to thrive. 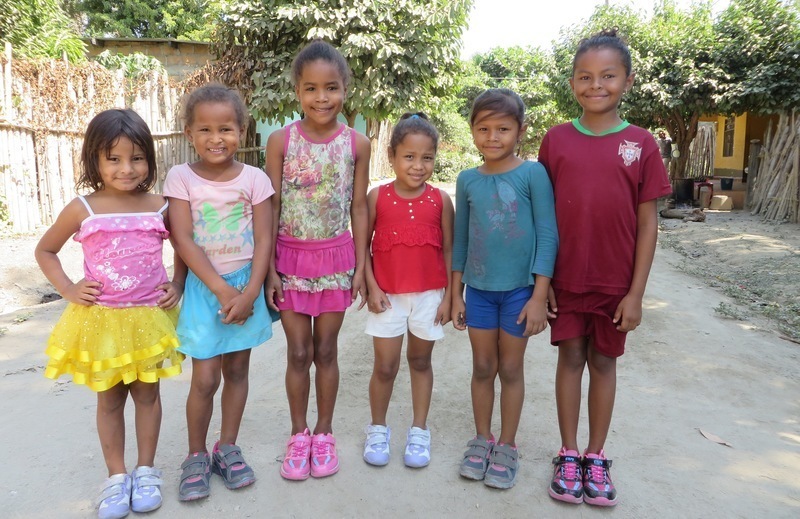 A very big thank you for helping us reach our goal to buy every child in our care a pair of shoes. Your kindness has reached across the world to every Stand by Me project and given each child the privilege of shoes, protecting our children’s feet from injury and disease. In Burma at our new Shan State Home, it was Moses, Isaac, Elizabeth and Na Hmwe’s first Christmas with Stand by Me. Their faces expressing their excitement and joy at their shoes. And in Colombia you have given the gift of shoes to children who lost all of their possessions in the Hurricane Matthew floods. Katty, age nine, delightedly remarked: “When the teacher called me and gave me this gift I was so excited! I was not able to believe it! I am going to be able to wear new shoes, because the old ones got wet during the flooding.” But they weren’t the only ones; there are thousands more kids around the world, smiling just like them thanks to you. You’re support has made sure our children are walking with confidence, unhindered by the fear of harm or feeling of inferiority. Together, we’ve been able to restore children’s dignity, improve their health and show them the love of Jesus. Thank you! When you give £5 and buy a Stand by Me child a pair of shoes, you protect their feet, restore their dignity and fill them with joy. You can make your donation go even further by snapping a photo of your shoes and sharing it on Social Media.